We don't have to tell you the importance of WiFi in today's world. If you haven't already noticed, it’s everywhere. Walk down the street, stop at a café, ride the train; signs of wireless internet permeate our society. What used to be the color TV of the 21st century is now the sliced bread. WiFi has become a utility. At first you think it was human error- maybe you didn't click hard enough... but then you click again and realize its not you, it’s the internet, it's not working. You jiggle the mouse, click the refresh button a few dozen times and then sit back staring blankly at your screen like your staring into the chasm of space and time. Your cubicle neighbor pops his head around the wall, same look of shock and disbelief mirrored on his face. The IT department is already on it. They were alerted that an access point on the 5th floor went down at 9:15am and they’ve rebooted it remotely. 9:17am, the page refreshes- your compression socks and charcoal toothpaste will be on your doorstep in 1-2 business days. How did the IT department troubleshoot so quickly? They had SecurEdge WiFi. With SecurEdge WiFi, you're getting more than a wireless network, you're getting the tools and services you need to grow. We begin with Hardware as a Service; all of the industry-leading equipment you need with routine software updates and suggested upgrades along the way ensuring that your network is alway up-to-date. We will assess your current and future needs and design a wireless network infrastructure tailored to you. We'll map out the installation plan to optimize their performance and ensure it's deployed correctly. SecurEdge WiFi also includes Software as a Service. With integrated heat map technology and live health reports of your floor plan, SecurEdge Cloud grants users insight and visibility into their wireless network unparalleled by industry competitors. Captive portal capabilities and customizable splash pages allow you to welcome your users and guests with branded messages, a quality touch that will delight and impress your network's users. Manage and monitor how those different users interact with your network and segment traffic to create more complex security measures that can protect you from data hackers. While this may sound like a luxury addition, at SecurEdge WiFi, it's standard. Whats more? Managed Network Services to provide you with the support you need to continue to be successful. 24/7 monitoring, monthly network health reports and unlimited support from our trusted team of wireless network engineers means you can rest easy with SecurEdge WiFi. We know how important secure and reliable wireless internet is for your business or organization. It can improve productivity of employees and students and increase the happiness and satisfaction of guests. The problem with enterprise-grade wireless internet is accessibility to these products and services by smaller organizations. Switches, controllers, access points... these hardware devices can really add up and quickly blow right past your budget. This is before you've even considered long term maintenance, security and installation. With SecurEdge WiFi, you get all of that, plus the Cloud bundled into one easy monthly payment. Everything is on subscription nowadays. You can subscribe to Tide Pods and have them delivered right to your door every 2 weeks if you so choose, so why not pay for your enterprise-grade WiFi on subscription? By eliminating the up-front capital expense, SecurEdge WiFi makes it possible for companies and organizations of all sizes and budgets to get the products, services and support they need to operate a safe and secure wireless network. 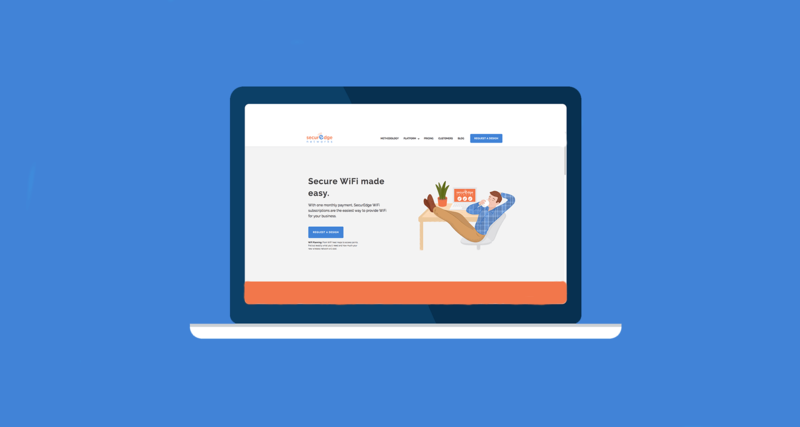 Why Choose SecurEdge WiFi? It's Simple. When you come to the realization that it's time to upgrade your wireless network, there are many things to consider and every case is different. WiFi isn’t a one-size-fits-all model, you’re going to need a wireless network designed specifically for you. While words like “tailored” and “custom” usually carry a large price tag, these are again just a standard of SecurEdge WiFi and with WiFi on Subscription, its never been easier or more affordable to get the enterprise-grade wireless network you need to continue growing. We’ve designed and deployed over 7,000 unique wireless network infrastructures across a wide range of industries including retail, hospitality, healthcare and higher education. We’re here to help guide you through the process and ensure that you never lose time waiting on your WiFi again. Wireless internet is a utility; we rely on it for everything. Our devices are what keep us connected to our families, friends, career, health, education... We don’t always understand it, we just want it to work. It's hard to imagine how we got anything done before it and there's no going back now. Providing reliable wireless internet is invaluable to your company or organization and we want to make it easier for you to get the enterprise-grade WiFi you need to grow. For smaller companies and organizations, this dream may sound like a blip in the cloud. At SecurEdge, we'll bring the Cloud to you. 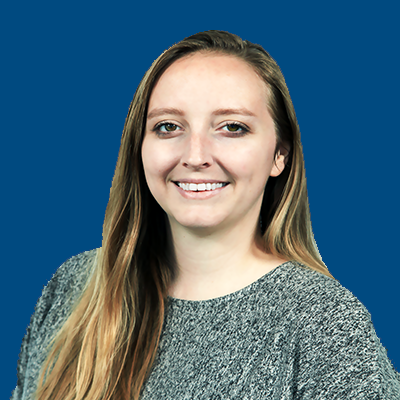 Brittany is the Marketing Coordinator for SecurEdge. If they had a company softball team she would make the T Shirts and play Shortstop.